Please call ahead to schedule your test-drive appointment at showroom nearest you. Our staff is here for you during business hours at 808-597-8522. We have provided you with our address and phone number to help you find us easily. We are passionate about luxury cars and we intend on sharing that passion with you when you purchase your new car from us. With its origins deeply rooted in the Luxury and Performance market, AUTOSOURCE has become the standard bearer for providing elite level vehicles to a value conscious clientele. Its boutique styled showroom creates the perfect environment for even the most discerning consumer and its Executive Level Staff is trained to provide a superior level of service commonly associated only with high-end corporate dealerships. AUTOSOURCE’S 10,000 square foot, air-conditioned showroom houses an inventory to meet the needs of a wide spectrum of car buyers. From entry level sedans to European Luxury cars, from state of the art hybrids to vintage muscle cars, AUTOSOURCE has it all. In its quest to provide a complete buying experience, AUTOSOURCE has partnered with a select portfolio of lenders to ensure that you are provided with the very best financing options that the marketplace has to offer. They have also created a network of highly skilled service providers to ensure that if its staff cannot address a requisite repair, a trusted vendor is standing by to assist. 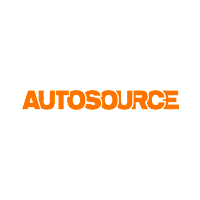 AUTOSOURCE even provides a Concierge service which not only locates unique cars for purchase but also provides post sale maintenance and service to ensure that their client relationships and retention continue in perpetuity.